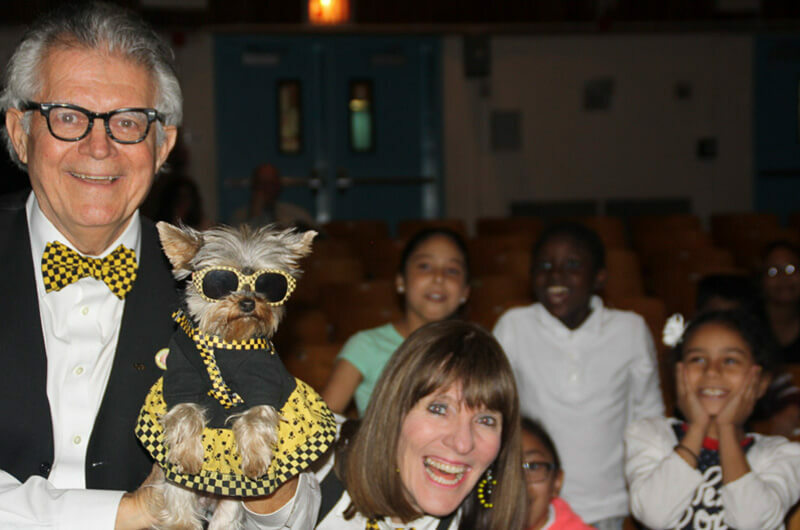 Musical Meteorologist Ron, High-Octane Author Elly, and STEM Star Schmitty The Weather Dog have visited more than 200 elementary schools and theaters bringing STEM fun to kids across the country. Wanna know more about them? Feel free to sniff around their bios below! 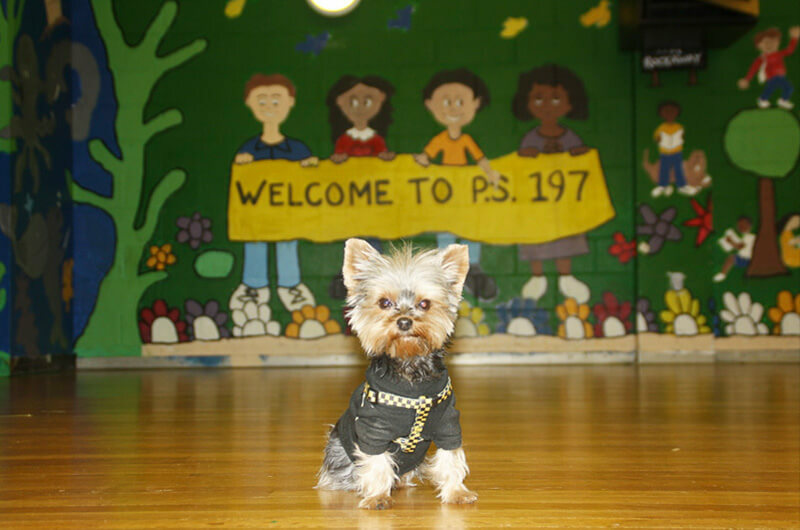 Schmitty The Weather Dog is a four pound Yorkshire terrier with a nose for the weather. 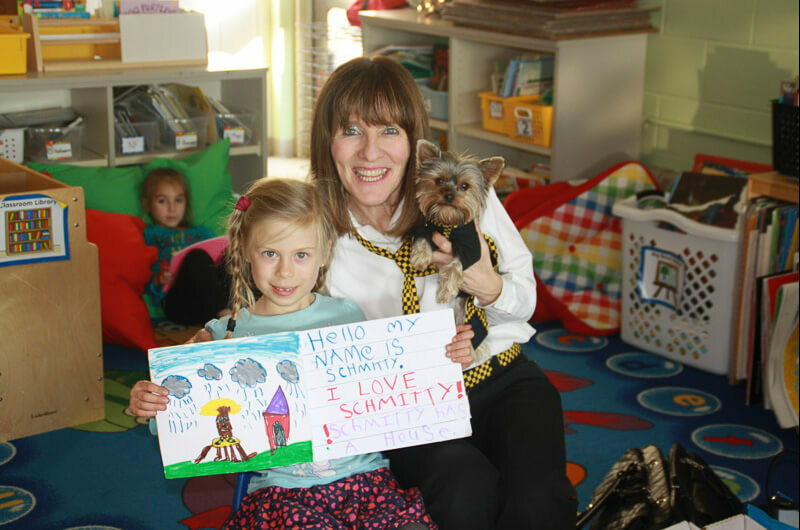 Helping kids and pets in need is Schmitty's passion and because of her philanthropic efforts, she has appeared on The Ellen Show and Access Hollywood. 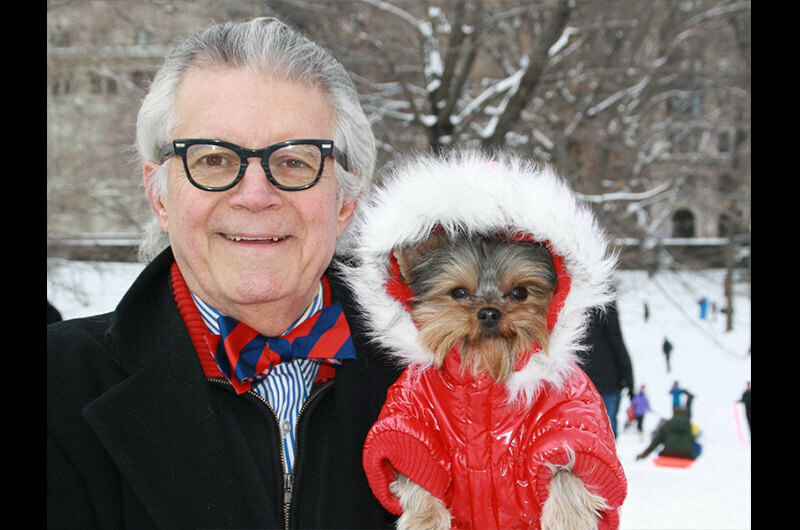 Schmitty has also appeared on stage with Oprah in Central Park, garnered praises and hugs from Betty White, and is the only dog to ever be named New Yorker of the Week on NY1. 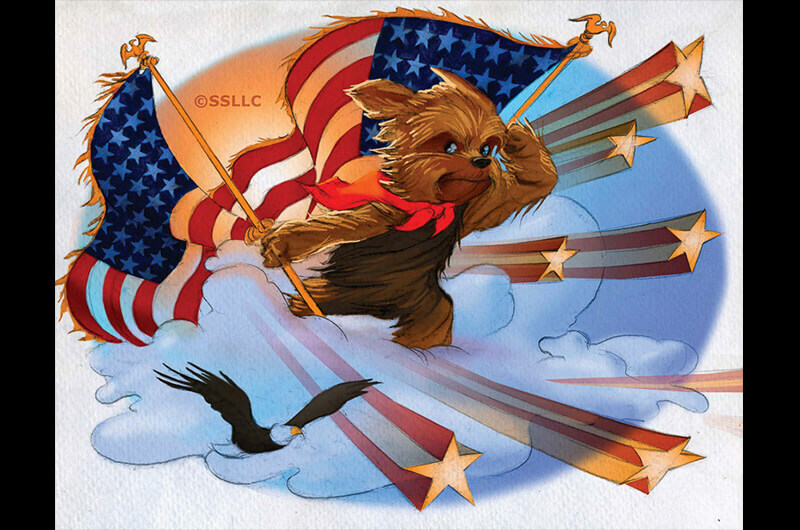 Schmitty The Weather Dog has been the subject of segments done by both CNN's Jeanne Moos & former Fox News' Gretchen Carlson and most likely is the only canine to have received a handwritten letter personally addressed to her from a former president - President George Herbert Walker Bush. 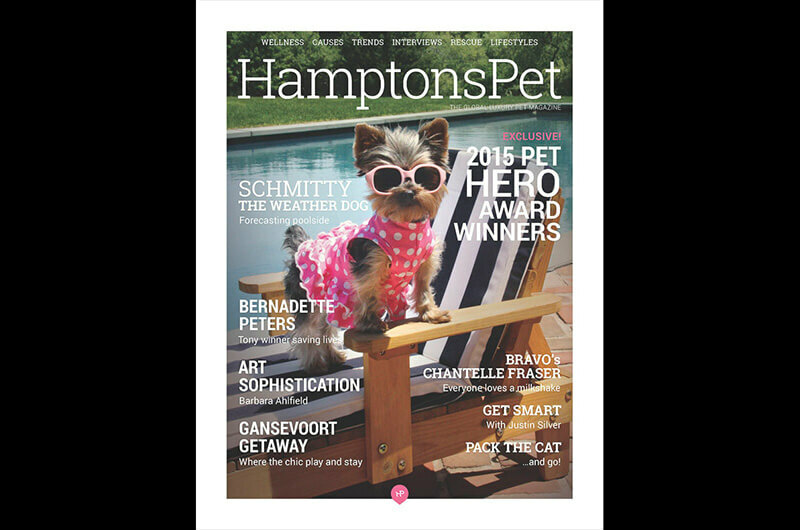 And not just another pretty face, being a STEM star landed Schmitty The Weather Dog on the cover of the high-profile summer issue of the Hamptons Pet magazine - with an article inside: A Nose For The Weather." 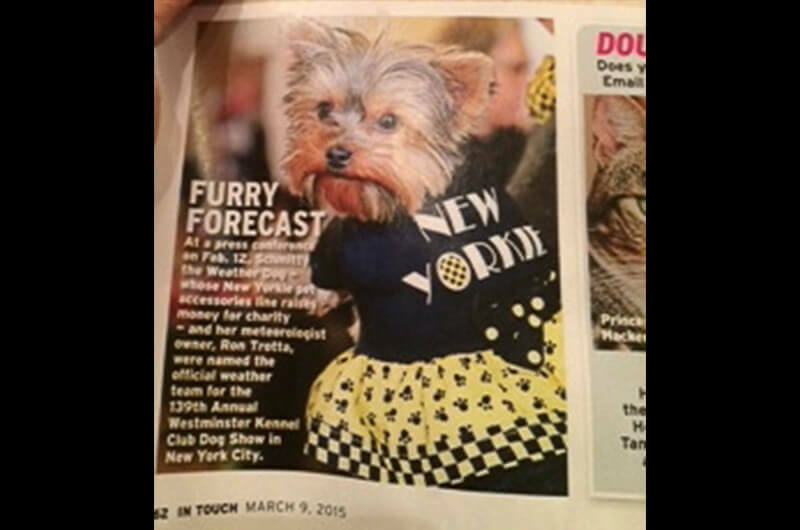 Along with Meteorologist Ron Trotta, Schmitty The Weather Dog has posted over 500 weather "pawcasts" on her Schmitty The Weather Dog You Tube Channel and together they have been the weather team for the National Science Teachers Association, National Association of Elementary School Principals and the Westminster Kennel Club Dog Show. 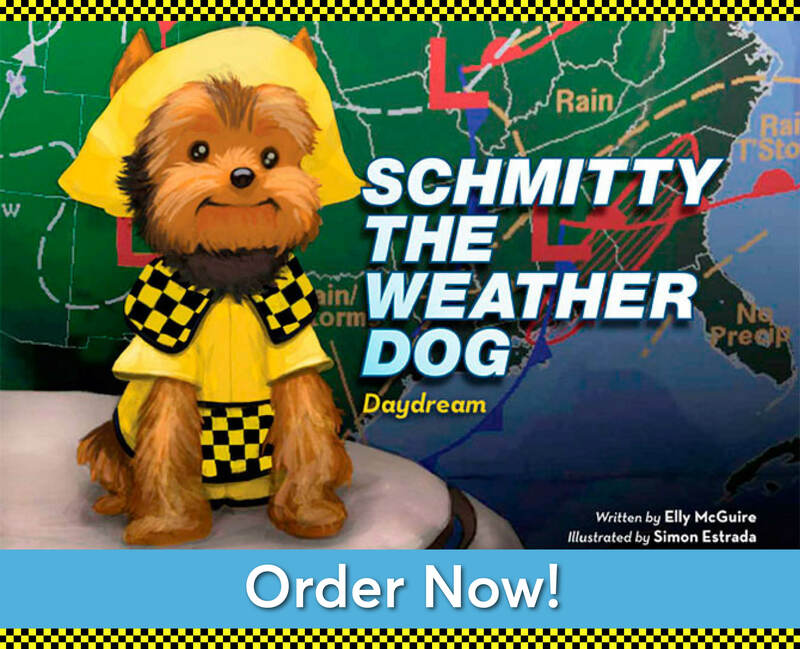 Schmitty is the inspiration for the popular children's book, Schmitty The Weather Dog: Daydream. 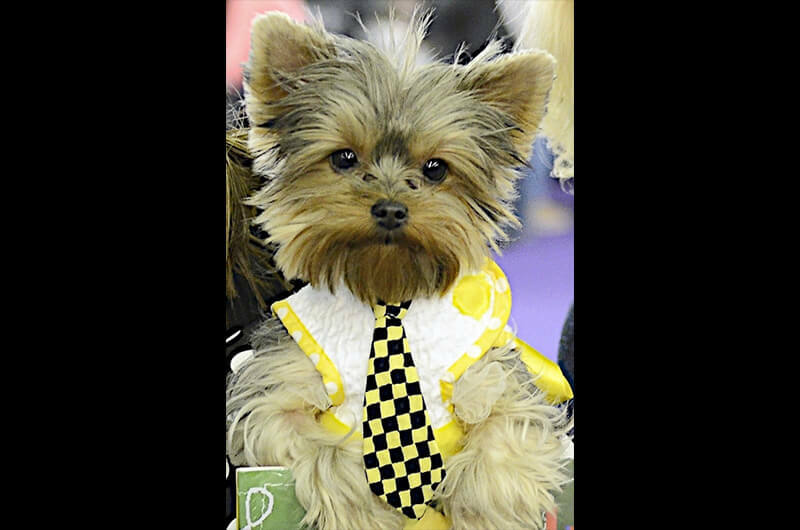 She is also the spokes dog for the New Yorkie © line of people & pet fashions and even has her own theme song and blog, both posted on SchmittyTheWeatherDog.com. 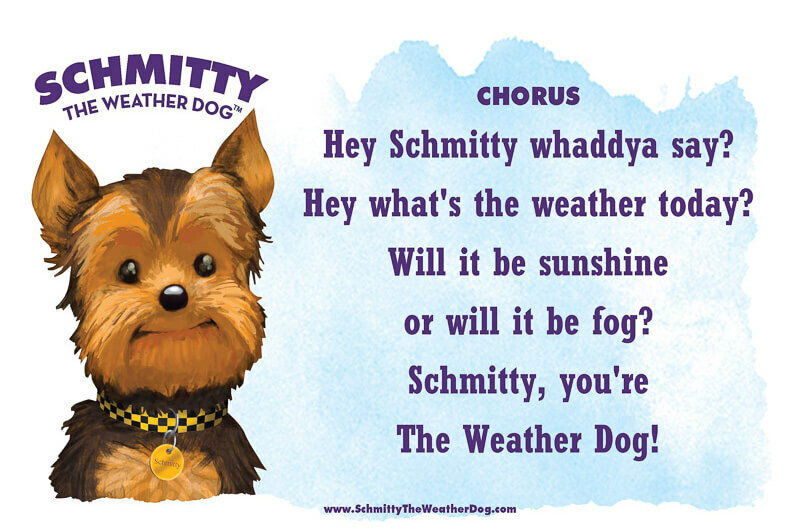 Schmitty The Weather Dog is one busy pup. When you look up the word, "Icebreaker" in the dictionary, Ron Trotta's picture should be underneath it. 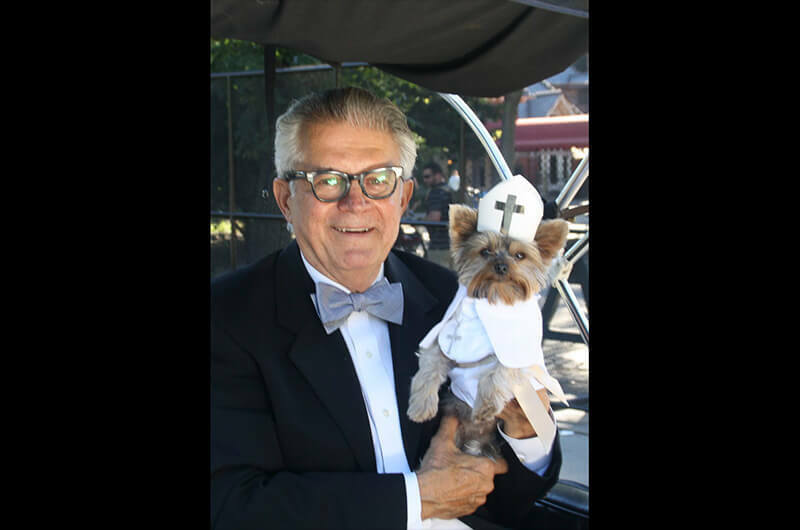 As an award winning Ragtime piano player and raconteur, Ron Trotta has been "breaking the ice" at parties, events and conferences with original song parodies he writes especially for the occasion . . . that gets the party started. Ron is so renowned at engaging his audiences in song and entertainment, that he, along with his fiance, Elly (who plays the spoons btw) were personally invited by President George HW Bush to join him, his wife, Barbara, and their special guests on a private yacht in Greece to "break the ice" with musical frivolity. 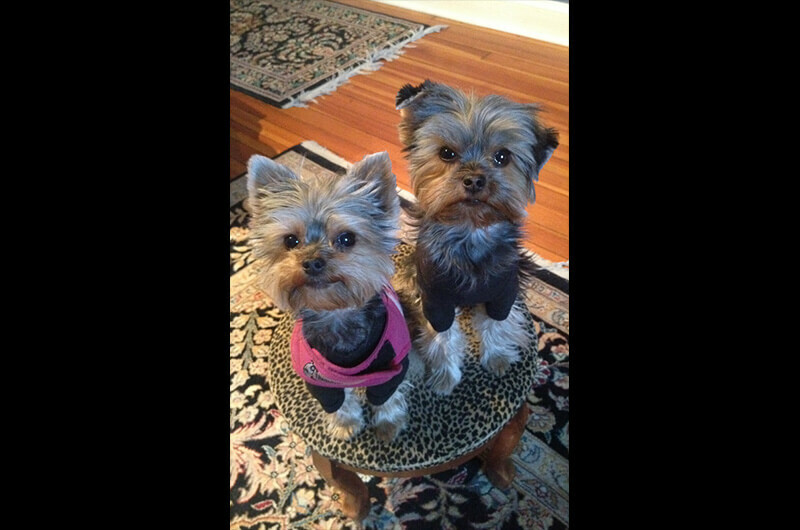 Ron and Elly were such a big hit that the Bushes asked them to stay aboard for another week. They've also been invited to stay with the Bushes in their home in Kennebunkport, where there just happened to be a piano in the living room and lots of guests visiting at cocktail hour. While earning his math/education degree at Purdue University, Ron helped put himself through school by playing ragtime and sing-along piano. Now, having the unique distinction of being a three-time time World Champion Ragtime Pianist, Ron has also added meteorologist to his title. Ron has produced national weather stories on Good Morning America and ABC World News tonight with Peter Jennings, Diane Sawyer, Charles Gibbson, and David Muir. 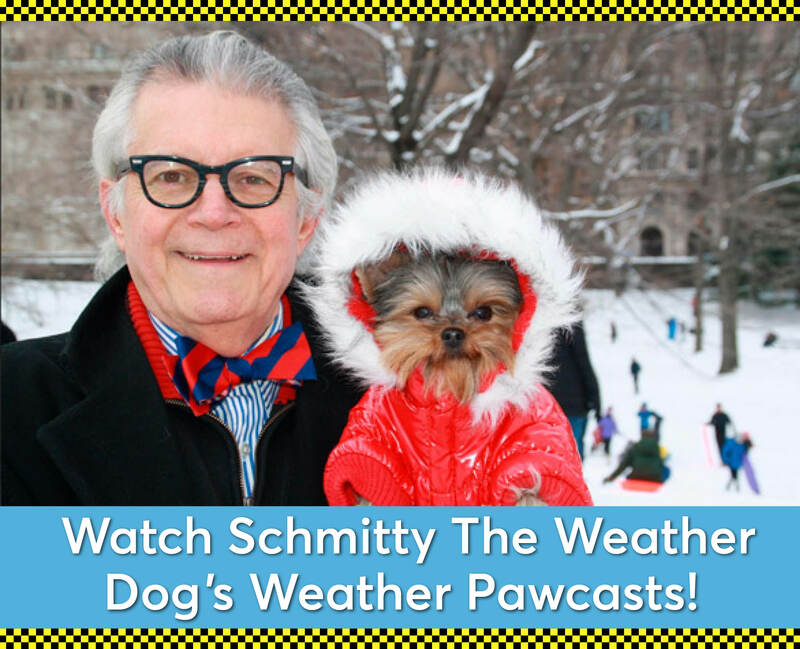 But "more importantly", Ron works with Schmitty The Weather Dog. 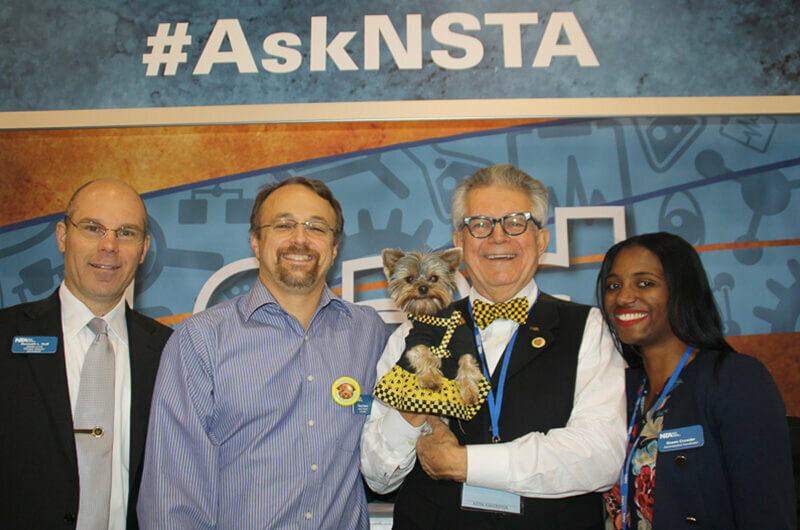 Together they have more than 500 weather "pawcast" videos posted on their Schmitty The Weather Dog You Tube channel and have been the weather team for the National Science Teachers Association, The National Association of Elementary School Principals, and the Westminster Kennel Club Dog Show. 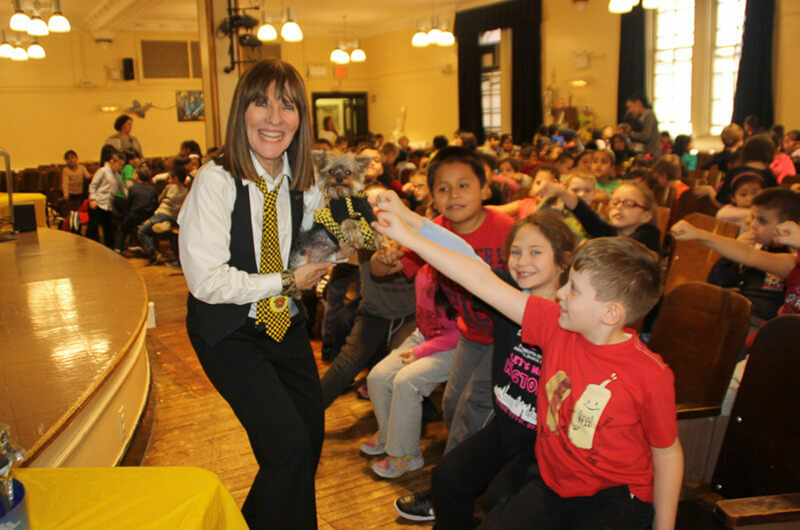 You can now find Meteorologist Ron, along with Schmitty The Weather Dog and Author Elly McGuire, bringing science and fun to kids in schools and theaters all across the country with the Schmitty The Weather Dog Science Sing-Along Show. 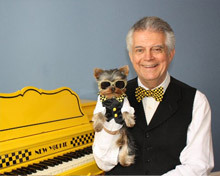 When not traveling across the country "breaking-the-ice" or bringing science and fun to elementary schools and theaters, you can find Ron in his apartment in New York City composing songs for the upcoming Schmitty The Weather Dog: The Musical or inventing new ways to make an omelette. 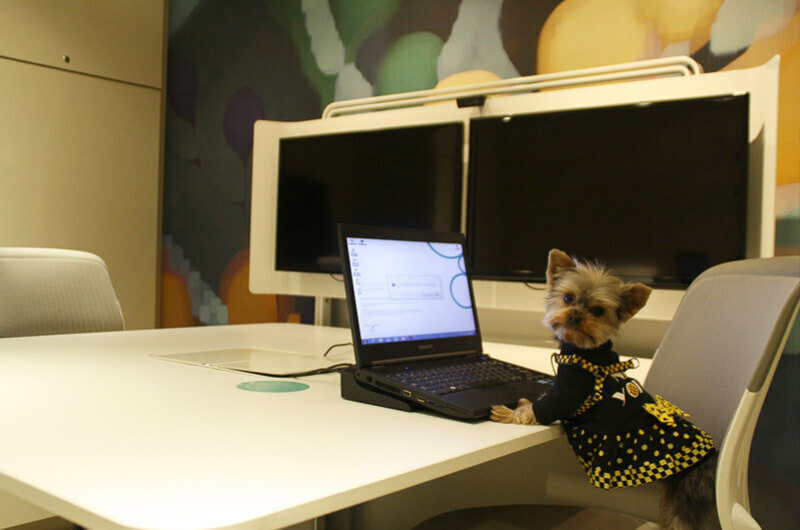 Elly McGuire has been obsessed with dogs and performing since she was a kid. Growing up with a beagle named Jessie Jane, Elly and her 7th grade friend created a kids show using marionettes; appearing in RI libraries and performing an original 1/2 hour show on local TV. Elly graduated with a degree in education from Rhode Island College. Using a puppet to read a children's book to her first grade class, Elly aced her student teaching final. The rest is history. After a few years of teaching, Elly embarked on the first of many adventures; sailing her 36' Columbia sailboat from Newport to the Bahamas. A chance meeting found Elly being invited to sail and live with the comedian, Dan Rowan and his girlfriend, JR, in his home in Florida. Many hours were spent listening to Hollywood stories, watching Laugh-In reruns, and improvising silly sketches. Turning down an offer to sail around the world, Elly returned to RI to a job in radio advertising. 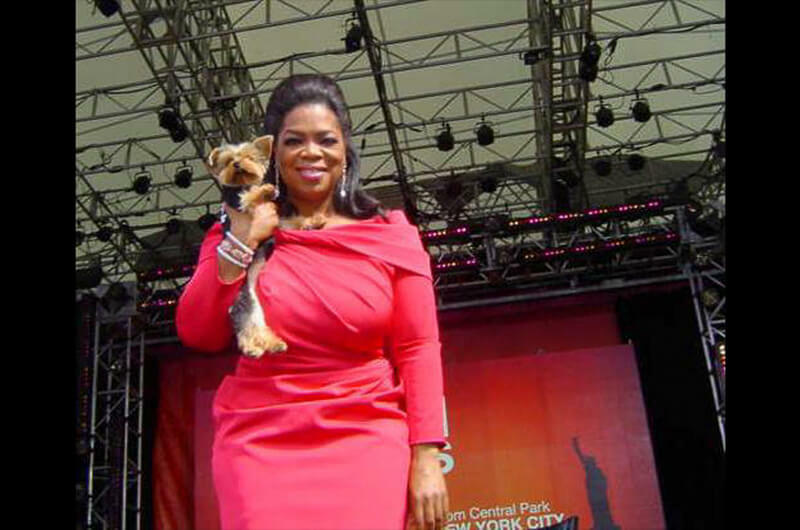 Eventually her journey took her to DC working as an executive for the NBA & NHL teams there. Known for a decent swing on the golf course, many sponsorship deals were signed on the 19th hole. 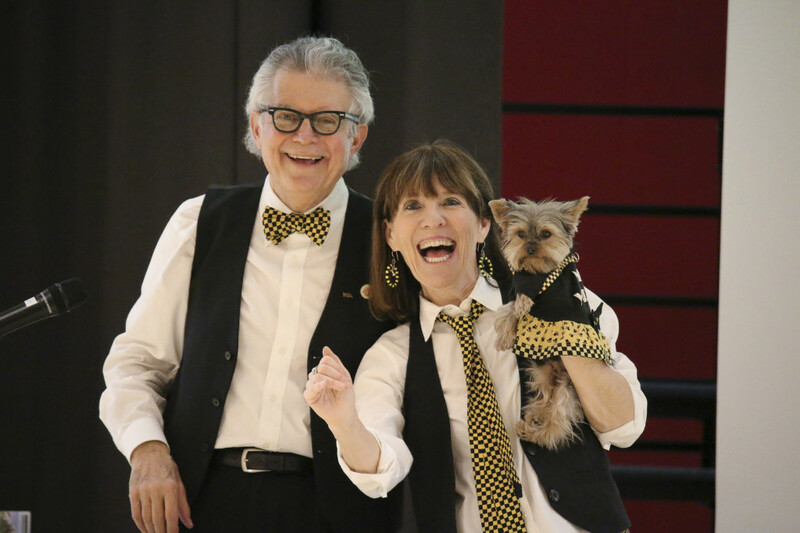 After meeting her forever fiance, an award winning ragtime and sing-along piano player, they embarked on a new adventure - moving to Hollywood. 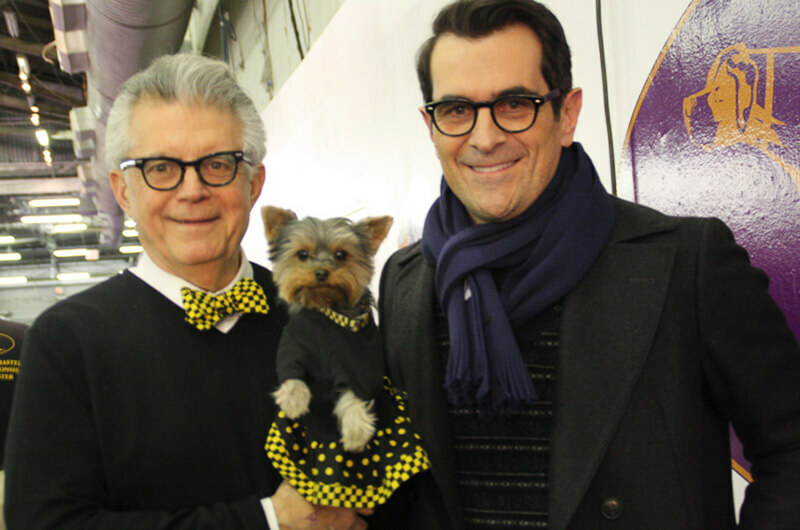 After creating and hosting numerous TV pilots, Elly traveled around the world as Ron's side-kick, entertaining for the upper crust on twenty-six Crystal Cruises. 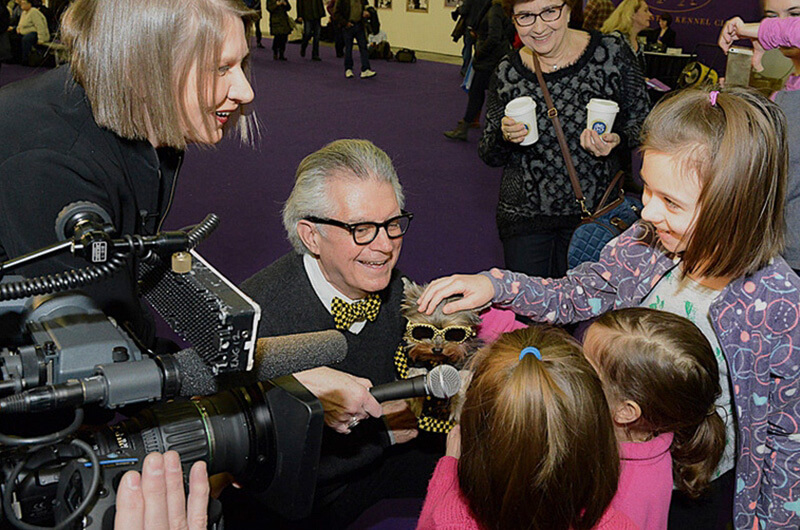 Elly was lured back to the east coast by aging parents and an opportunity to capture clients for Radio Disney. Having perfected the role of side kick, Elly again accompanied Ron to entertain on a different kind of cruise; two weeks on a private yacht in Greece with hosts President George Herbert Walker Bush and 1st lady Barbara Bush. So enthralled were they with Ron's piano playing and Elly's silly songs, that the Bushes invited them to their home in Kennebunkport, staying in their son the president's bedroom, right after they changed the sheets from their previous guest, Mikhail Gorbachev. Back home in NYC, Elly was profoundly influenced by the events of 9/11. 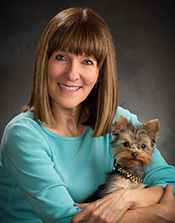 Feeling the need to do something, she created New Yorkie Greetings, a line of greeting cards, using her Yorkshire terrier as the model, to raise money for the Uniformed Firefighters Association Scholarship Fund. 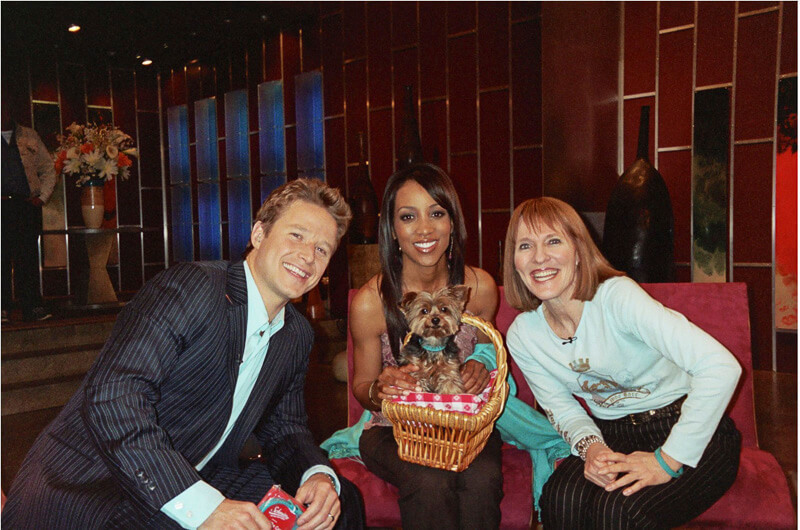 Ellen DeGeneres flew Elly and her pup to be on The Ellen Show for her creative efforts to raise money for animal shelters. 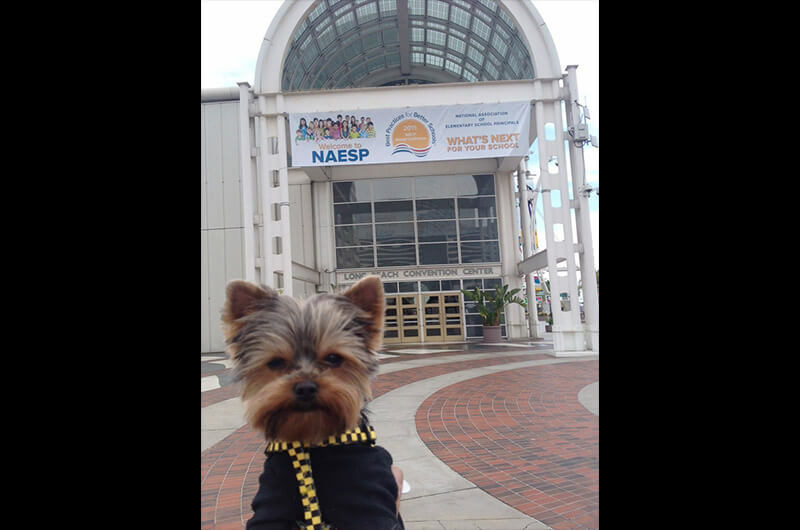 Elly also created the BARK THE VOTE National Tour and along with forever fiance' Ron and her pups, traveled 8000 miles back and forth across the country to raise awareness for small animal shelters and to get out the vote. 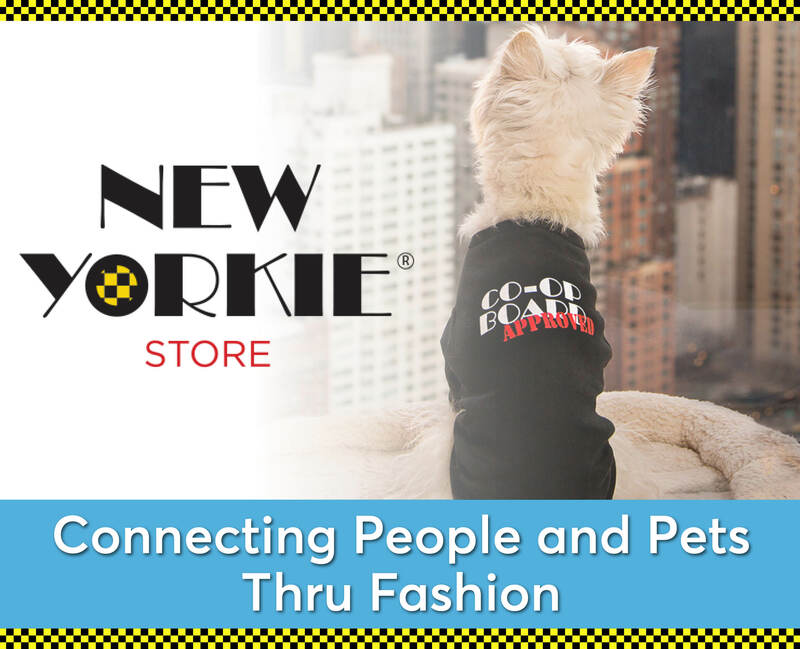 Eventually, Elly left corporate life to work with her 4-legged muse, creating the New Yorkie Runway Celebrity Doggie Fashion Show to raise money for pet charities and promote her New Yorkie © brand of pet & people fashions. 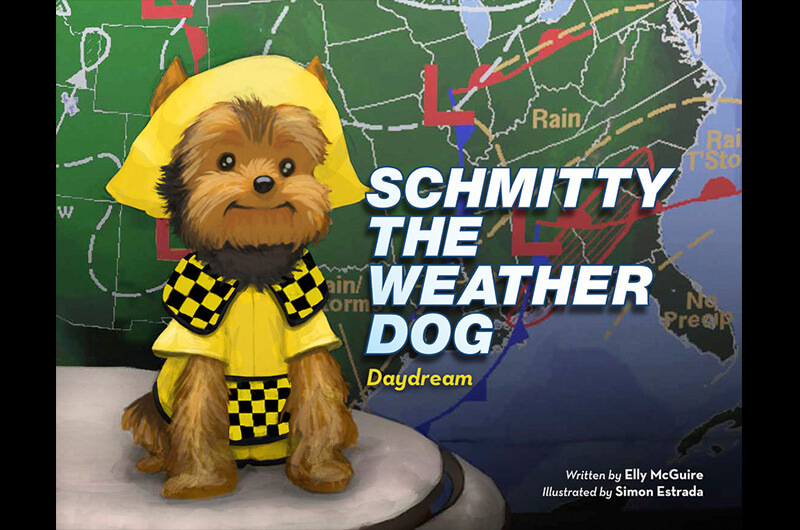 Inspired by her pup and her weatherman fiance, Elly wrote her first children’s book, Schmitty The Weather Dog:Daydream. 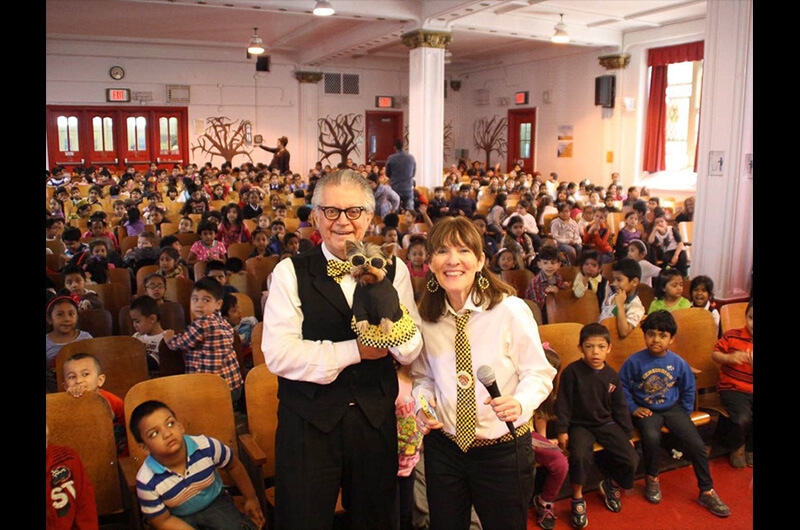 Using literacy, music and a really cute dog, you can now find Author Elly, along with Meteorologist Ron and Schmitty The Weather Dog, bringing their Schmitty The Weather Dog Science Sing-Along Show to elementary schools and theaters across the USA. 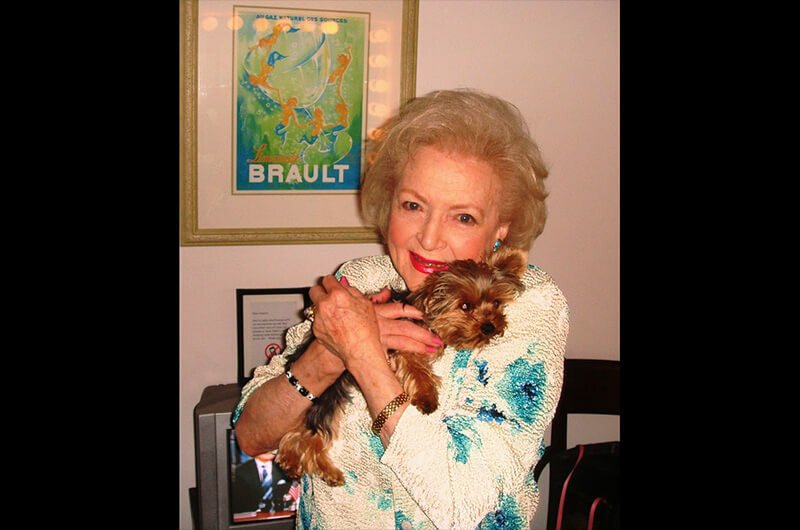 Perhaps the only person in history to teach a US President to play spoons, Elly lives in NYC with her pooches, Schmitty and Pudge, and forever fiance’, Ron.